This was a fantastic book! Brent Weeks just seems to be providing more and more interesting additions to the series. Keep up the fantastic work, Brent! I love it. I have read all his books from Warded Man to Blood Mirror. The stories are spellbinding from the first chapter to the end. I reread all the books before the final book came out. It is series you can reread when you have all the books. The waiting time between books was well worth the wait. Very enjoyable. 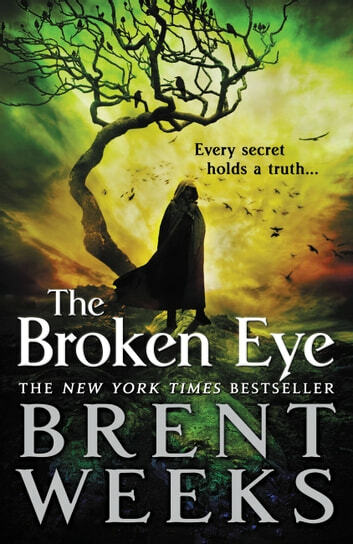 I have liked Brent Weeks since the Night Angle Trilogy. I wont lie, when I first started this series I was left wanting. I struggled through the first book and gained appreciation for the second. This the third book however, is by far the best, so far. There are some nice subtle twist that would even make George R.R. Martin smile. I hope the best are as good or better than the third.